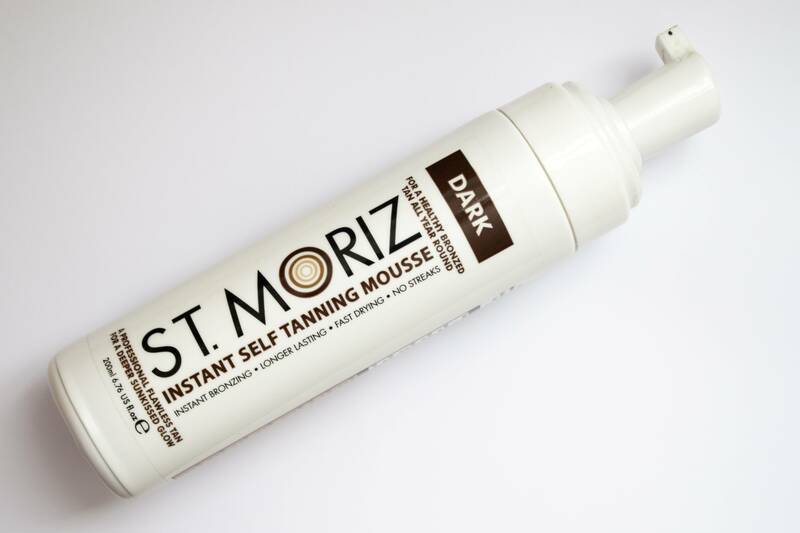 I've been using the St Mortiz fake tan for years now, its cheap and cheerful and does the job. I use the Primark tanning mitts that are about a £1 to apply this with, and normally do it in front of a mirror so I can see where Im applying the tan. 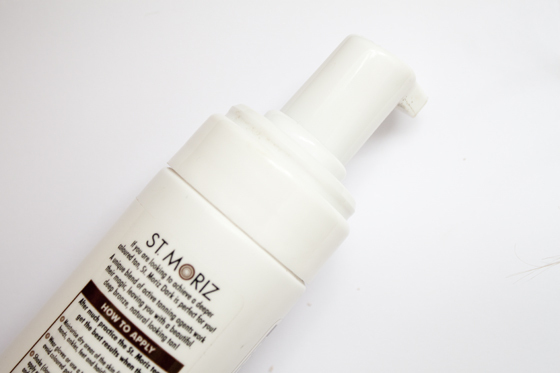 I find it applies really well and glides on smoothly but it does dry quite fast so you do need to move quickly. It is tinted upon application so you can see where you are applying it, but it can leave you looking muddy. So its best to leave it overnight to develop and then wash it off in the morning rather than before you go out. Once washed off it leaves a wonderful golden tan! I normally apply my tan in the evening so I tend to sleep in a onesie so I don't stain my sheets then wash off in my morning shower! My skin is very olive toned so I find the dark tan suits me so much more than the regular version. I think it actually has a subtle greeny-olive tone to it that just looks betterthan the regular. I'd say this is an dark fake tan, not as in oopma loompa orange, but I presume if you're buying a fake tan labelled dark you're expecting a dark or "orange" fake tan. However it's tan without being too orange if you get me! If you're a tanning virgin or a bit scared that you're going to get the Essex look then maybe try the regular one! 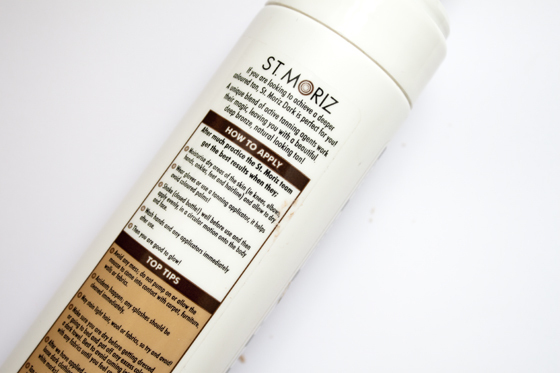 It can be pretty patchy after a few days if you don't exfoliate before hand, just remember that if you want to get the best out of a fake tan you really need to do the prep beforehand. On me it lasts on me for about 5-7 days before I scrub everything off and reapply. I never apply it over already tanned skin so I can't comment on how that works! Overall, it's my favourite cheap fake tan! It's easy to get hold of as most discount stores sell it and I know you can buy it in Tesco (with the prices bumped up a bit!). I like the fact its tinted so you can actually see where you are applying, and the fact it dries fast is an added bonus for me as some tans take a while, even the XEN tan which was rather pricey and had rave reviews I found took a while to dry which mean waking up with patches where the product had moved if not left to dry or applied evenly. For such a good price I need to pick this us as its such little cost even if it doesn't work out. I always go for this fake tan. It's just like Fake Bake but cheep & cheerful!